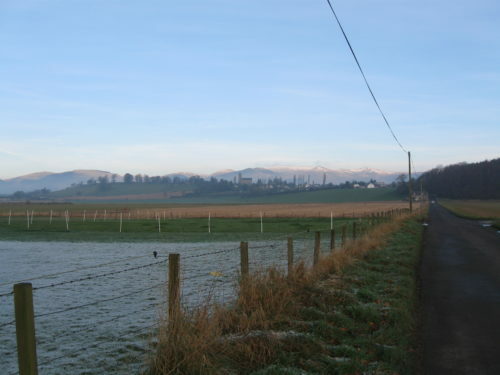 Clackmannanshire is the smallest of the historic “shire counties” and the name is made of words from three languages. 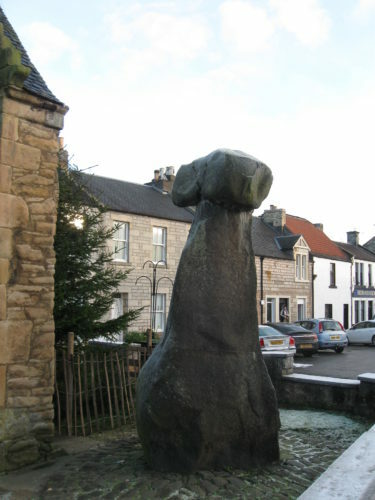 Clack is from the Scottish gaelic meaning “stone” – and there it was, in the centre of Clackmannan. Mannan comes from Manaw, the name of an Iron Age tribe who inhabited the area. Just south of town the map shows another interesting name. 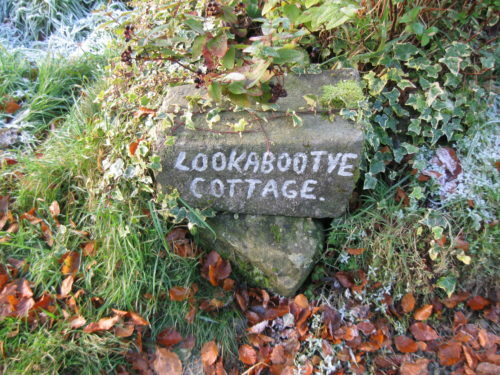 I took a walk down Lookabootye Brae and found Lookabootye Cottage. The story goes that Robert the Bruce was out hunting in the area, when he dropped one of his gloves. He sent a lieutenant back to look for it, instructing him to go to the path near the village of Clackmannan and “look about ye”. I don’t know if he found the glove, but on a clear day there is quite a view. What’s your favourite place name story? Please tell us in the comments below. We will try to feature the best ones on Blog About Britain. My favourite is Beddgelert. It means Gelert’s grave and of course the famous story involves a baby, a wolf and a heroic dog call Gelert. No doubt Sarah Anne will get to the story in due course although it is not found in the Mabinogion. The village is very popular indeed with visitors who can take a delightful stroll along the river and visit the grave. However… the village was not always such a tourist attraction. The story goes that in the nineteenth century when tourism into Wales was becoming popular the vicar and the postman (I think) dreamed up the tale in order to attract visitors to the village! I often wonder who the real Gelert was!